Accessories give a home interest and distinction. When you use items that truly speak to you, they provide a deeper connection and attachment to your surroundings. They also speak volumes about you to the rest of the world. The good news is that it is not necessary to discard all of your existing accessories! Placing items in a different location or grouping them with other pieces will make them feel new again. Before you dive in, take a look around your space and assess the situation. Do your accessories need to be pared down? It’s not uncommon to keep adding items without taking anything away, diluting their effectiveness. Just removing a few items, can make a noticeable difference by itself. To avoid heartbreak, position decorative accessories in places that pets can’t reach them. Pieces that are lower to the floor should be larger in scale. As a general rule of safety, they should be 2 to 3 times larger than what a pet can swallow. Plants, because they are very tempting as toys, should be included in this category. The size of an accessory should relate to its surroundings. For example, a 12-inch square accent pillow will totally disappear on a nine-foot long sofa or sectional. Grouping small objects together will create greater scale and presence. Individually displayed, they become wallflowers. A composition of items that vary in size, usually feels most balanced when the taller and heavier objects are placed at the rear. Don’t overlook your pet’s accessories. There are so many stylish selections, so it’s no longer necessary to have a tartan plaid dog bed in the middle of your mid-century modern living room. Look in retail stores or online at some of the interesting options. Feeling creative? 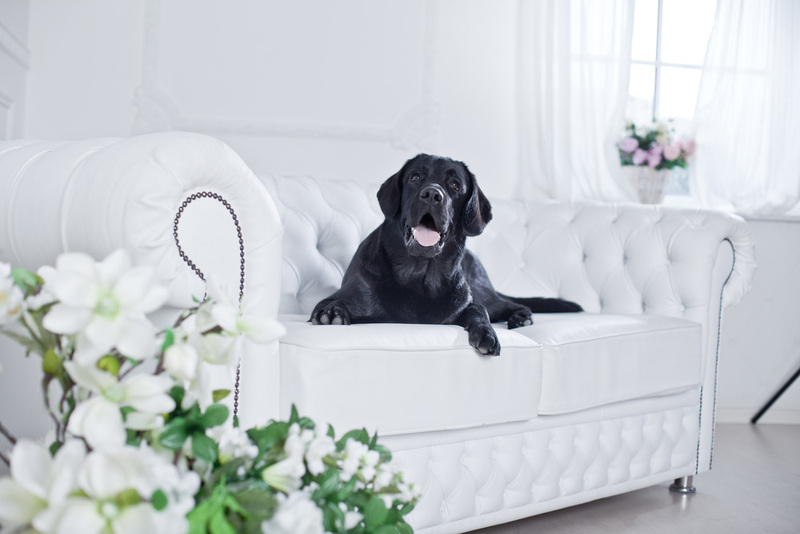 Have pet beds and accessories custom-upholstered to match the style and design of your living space. The accessories in your home should evolve, as your life and home evolve. When approached as an on-going process, it keeps your home feeling fresh. At this time of year, just adding a pot of flowering tulips or daffodils, as a reminder that spring is on its way, will instantly lift everyone’s spirits. So, we hope that you will break out of the winter doldrums and discover an opportunity to bring new style and polish to your home!